While we hope you know the importance of microchipping your dog or cat, we know that some people don’t see the importance of it. At Royal Pets Market & Resort, we care about pets and want to help you keep your pets safe and happy. With locations in Apopka, St. Petersburg, Palm Harbor, and Carrollwood, we can provide you with vet and grooming services, as well as all the pet supplies you need! Be sure to stop by one of our locations for all your pet needs and read on to learn more about the importance of microchipping your pets! Before you get your dog or cat microchipped, you will likely want to know more about what they are. Microchips are tiny computer chips that are implanted under your pet’s skin. These microchips are about the size of a grain of rice and implanted using a large bore needle, similar to how a simple vaccination is injected. Each microchip has a unique registration number is associated with the owner’s name and contact information. This contact info is added to a pet registry service that is offered by the chip manufacturer and it can be read using a handheld reader that displays the information so owners can be identified. One thing that you should know before getting your pet microchipped is that the readers are not universal, so getting your pet chipped with a common brand is important. This ensures that the chip will more likely be able to be read if your pet ever becomes lost. Now that you know a little bit more about microchipping and what they do, it is time to look at some of the benefits! As a pet market and resort, we know that microchipping your pets is so important and we want to make sure you understand the importance as well! Even getting an indoor cat microchipped is important in keeping them safe. Most pet owners get collars and tags for their dogs and cats. The pet’s name, your address, and phone number are engraved on these tags to ensure that if they ever get lost, someone can help them find their way home. However, collars and tags have a few flaws. The collar can easily break off or get ripped off, leaving your pet without their important information. This makes it nearly impossible to help them find their way home. As for the tags, the information can wear off, making it hard for anyone to tell what it says. You also may not update the information on the tag when it needs to be updated, which makes this method basically useless. While collars and tags are a simple way for someone to get your information, they are not the most reliable method. Microchips are! They are permanent and provide your information no matter where your pup or cat ends up. If their collar gets ripped off or the tag has old information on it, the microchip will be a reliable backup. According to Petnet, the American Humane Society estimates over 10 million dogs or cats reported lost each year and sadly, a large number of those pets are never returned to their owners. While there could be a number of different reasons why these pets are not reunited with their families, one of the top issues is the fact that the contact information for the owner is unavailable. Having your pet microchipped greatly increases the likelihood that your pet is returned to you safely. If your pet ever runs away and becomes lost, a microchip can help someone find out who they belong to. The Petnet article mentions that cats with microchips are 20 percent more likely to be returned to their owners. Microchipped dogs are returned to their owners 2.5 more times than unchipped dogs. If your cat or dog ever becomes lost, knowing that they are microchipped will offer you some relief. It is sad, but pets can get stolen. If your dog or cat ever gets stolen, a microchip can provide definitive proof of ownership and help you get your pet back. This is especially important if there is a dispute over ownership over your pet. If your pet ever is stolen, you would hate to never see them again because you did not get them microchipped. You may be thinking that your pet will never be stolen, but it does happen and if it happens to you, you will want to make sure you have taken all the precautions so you can get your furry friend back! Nowadays, microchips have advanced capabilities and functionality. You can have your dog’s microchip programmed with the doggy door, allowing it to open when they approach. This allows for other critters to be kept out of your home and help keep your home secure while still allowing your pets to go in and out as they please. As technology advances, your pet’s microchip will likely be able to provide a variety of capabilities that can make being a pet owner a little simpler. Some microchips offer lost pet alerts and travel assistance. When you choose your pet’s microchip, be sure to learn about the unique capabilities it has! Microchips last a lifetime and once one is implanted in your pet, you will not have to worry about it. 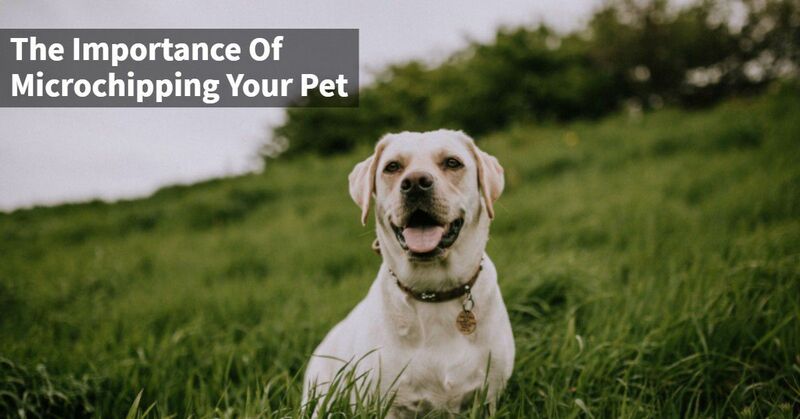 You will have to update the information when need be to ensure that your pet always has the correct information, but other than that you won’t have to give it a second thought. It may be a good idea to have your vet scan it from time to time to ensure that it is working properly. While we hope your pet never becomes lost, it is better to be safe than sorry. Having your pet microchipped is a quick and easy procedure that can help keep them as safe as possible. If your pet is not microchipped yet, you will want to take care of that as soon as possible. Your pet is part of your family and as a pet owner, we know you would do anything to keep them safe and healthy. Microchipping is one of those things! Get your furry friend chipped and be sure to stop by our pet market and resort to get all your favorite pet products, as well as vet and grooming services. 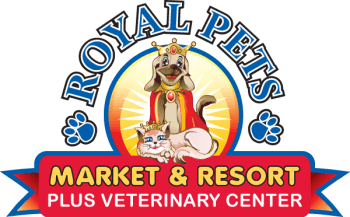 With four locations, Royal Pets Market & Resort can help you with all of your pet needs!